The citizens of Lombok like to say that it doesn’t matter where you are – what matters is the state of your mind and the connection you make with the place you arrive in. Can’t argue with that, can you? I’ve been to many tourist magnets around the world, and am happy to say that this island is truly special and my heart always sings when I’m there (well, almost always). In this article, we’ll talk about Gili Belek – a tiny piece of land in the south-eastern corner of Lombok. You won’t find it in the majority of tours; even some of the experienced travelers don’t know that it exists. Still, for the fans of solitude and serenity, it is exactly what they need for their next trip. If you’ve been looking for an authentic island where you can celebrate your birthday, anniversary, have a wedding, or simply enjoy an intimate time with a loved one (like maybe a romantic trip), make sure to put Gili Belek on the list. It’s got everything an average foreigner would want to see on a tropical island: beautiful beaches, a clear sky, white sand, and beautiful sea creatures in the water. For some, the location might be a bit of a turn-off; however, given the fact that Lombok is pretty small and can be crossed over in 3 hours, that shouldn’t be a problem for you. Alright, now let’s get to the meat and potatoes and learn more about today’s destination. What Is Gili Belek All About? According to official statistics, there are 26 Gilis in Lombok. Yet, the locals claim they know about a dozen more. Some of those aren’t even marked on Google Maps, but that’s not the case with Gili Belek. Even though it’s not the most popular spot for the visitors, the boat owners know it by heart and it won’t be a problem to get there. East Lombok Regency is a magical place, and the southern parts of it are mainly untouched by civilization. The people there are very simple and prefer to stick to centuries-old traditions and customs. Religion plays a vital role in their daily lives and they usually make a living on fishing, crafting, or weaving. The villages are quite modest, without any advanced tech or infrastructure. As for Gili Belek, it’s located in the Jerowaru District. Take a look at the map: as you can see, it’s not really that far away from Lombok and the tourists will be able to get there within minutes. It is surrounded by several other islands – much smaller ones. If you end up renting a boat for a couple of days, don’t miss your chance to sail around the area and visit every single Gili. That way, you’ll feel like Indiana Jones on his journey to find an ancient artifact (or any other legendary character from your childhood). Again, you won’t have to sail for hours: all the islands are very close to each other. I bet a trip like that will get you both tired and hungry. So, where can you get a decent meal while in Gili Belek? Get this: there are a couple of amazing floating restaurants “hidden” right between our destination and Gili Makemkao. Just imagine being in a warung in the middle of the sea and having a delicious meal with your friends. They are pretty big and can take in a lot of tourists. Some people claim the food isn’t particularly great, but it was fine when I got there; the same goes for the drinks. Still, if you’re planning on staying in Gili Belek for long, make sure to pack a bag full of snacks and drinks, because you can’t ever rely on anyone else but you. Some towels and dry clothes might also come in handy. The island is famous not only for the amazing views but also the beautiful underwater life. Snorkeling is the most popular water activity in Lombok, along with surfing, and it doesn’t really require much from the foreigners: simply put the equipment on and dive! Even if you’re not a particular fan of fish and other marine animals, the beautiful scenery of the sea near Gili Belek will definitely bring a smile to your face. Important facts: The average temperature is 25 degrees Celsius. October is the hottest month and it can get as hot as 30 degrees. January is the “wettest” month of the year. It doesn’t rain that much there. Ok, here’s the most important thing you need to know about Gili Belek: it is not uninhabited – never has been! That’s right: it is full of houses made by the locals with their own hands, and they aren’t about to leave anytime soon. But that doesn’t mean you won’t be able to enjoy peace and quiet there. In fact, ,the island offers quite an “intimate” experience despite the fact that it’s always full of men, women, and children that run around on the beaches and make noise 24/7. Check out the pictures: can you see those cute houses standing next to each other? They add a certain kind of charm to Gili Belek. Personally, I’ve been to many empty islands, and this one is a welcome change. So, apart from swimming, snorkeling, admiring the view and walking around on the beach and holding hands, you can also try fishing. The boat tours I mentioned earlier are pretty popular among the foreigners. Basically, this is just another village, only it’s located on a separate piece of land. It’s ok, though: if you want to be left totally alone, Ree and Makemkao will be just right for you. That’s especially true for the low season when there aren’t any foreigners or even locals there. Gili Belek offers a different kind of experience, one that allows all the visitors to learn more about Lombok and the people that live there. Summing up, let me just say that places like this one aren’t meant for everyone. They aren’t fun, full of bars that work till the morning, and you won’t find any world-famous landmarks in the area. However, the travelers that appreciate raw, unfiltered emotions and strive to discover new facts about different cultures around the globe will find Gili Belek to be intriguing. So, my advice to you: before hopping on a plane and starting an adventure in Lombok, makes sure that you want to be in a place like this island. You can always come back later, but the trip will be ruined if you expect this spot to be as thrilling as Gili Trawangan or its neighbors. Oh, and book your hotel rooms and reservations at the restaurants in advance. During the high season, the tourists take all the good rooms/tables. Usually, it’s easier and way cheaper to do that back home then the day you arrive. 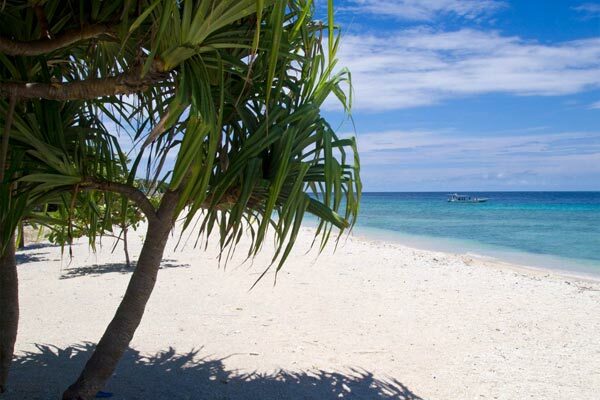 Gili Belek is very far away from the Senggigi Beach, Mount Rinjani, and the most popular waterfalls. Yet, it’s the heart and soul of Lombok. From the highest hill, the foreigners will be able to see the big island’s beautiful beaches to the west and the south. For some ground-breaking selfies, it is quite an amazing place. The Pink Beach is miles away; but, you will be able to get there in approximately 30 minutes (up to an hour on a car). Well, we already did that and even put a map at the bottom of the article. The newbies usually never come prepared and tend to rely heavily on the locals. Say, when trying to get to a certain place, they hire some guides, give them a lot of money, and us a taxi to get there fast and without any trouble. There’s nothing wrong with doing that, but I’d encourage you to explore Lombok and all of its corners like Gili Belek on your own, without any so-called guides that will try to make you pay way more than you should. From the International Airport, the road will take approximately 1 hour. You can either go straight or take a detour through the southern areas to avoid heavy traffic. As I said earlier, the boats are easy to rent and the distance between Lombok and Belek is very short. A lot of tourists land in Bali and head straight to Senggigi Beach after they get the most out of Bali. Are you there right now? Then get ready for a long, eventful ride from the western part of Lombok to the east. The road is 82 kilometers long and will take up to 2 hours to conquer. Ok, now you know how to find your way to Gili Belek! Man, these Gilis are endless. I've been to Sulat in the north-east and Meno in the north-west. Now it's time for the south-east! As another destination on your trip, Gili Bedek is fine. But it probably won't be able to "hold" you for long. The people on the island are very friendly and always happy to see some foreigners. Yes, we also visited one of those "floating dinners" in the area. A totally unforgettable experience! It is beautiful, no argument there. But I was a bit confused to learn that it's already taken by the locals.